I've repeated conda update conda over multiple days, with no change in results. I can see there is no HTTP, however conda info --a shows channel URLs. How do I get conda update to call a correct HTTP address? Check if you're behind a corporate firewall that has an HTTPS/SSL proxy. If so you may need to change the line in .condarc from ssl_verify: true to ssl_verify: false. Try to start Anaconda Prompt as Administrator (click right button of mousse before starting it), and make the same order. 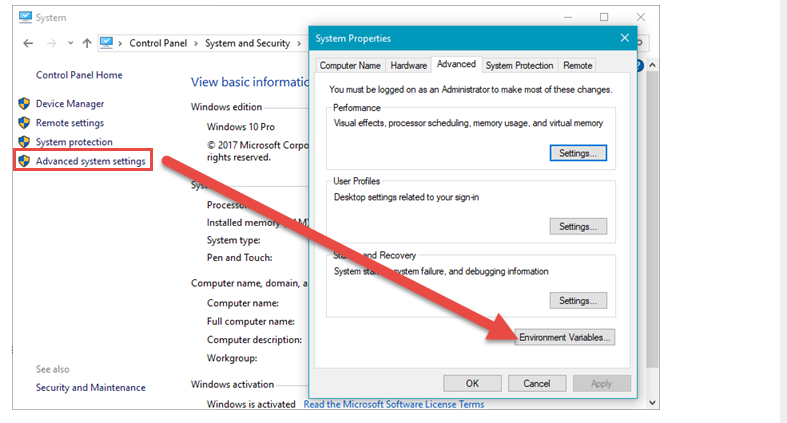 If you want to skip reading it, one path that works the same in all versions of Windows is to open the Control Panel and go to “System and Security - > System.” There, click or tap the “Advanced system settings” link on the left. The System Properties window is opened. 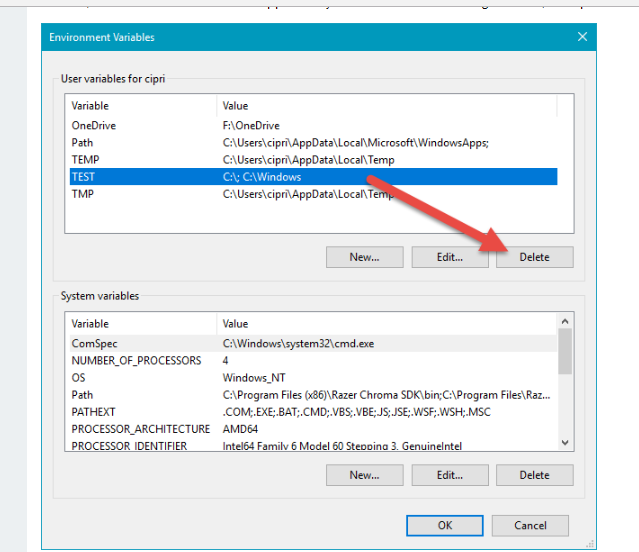 There click the Environment Variables button. In this you have to select that one which have proxy , and delete ,then click Ok. Now restart your Anaconda prompt. It worked for me; I hope it also work for you. Type "conda config --show" to check the configuration information and make sure the addresses in the channels can be accessed normally. I had the same error, and I tried most of the methods, but none of them worked. I checked the version of anaconda3 it was 4.2.0 which I realized was in beta which might be the reason. I solved it by uninstalling everything and installing the latest version (5.1.0). It worked after that. You should check your .condarc file located in your Miniconda3/Anaconda3 root directory. There should be a line with just a hyphen. This line corresponds to the None channel. Deleting the line fixed the issue for me. Please update to the latest version of Navigator. That will allow conda to make insecure connections to download packages. This is especially useful when you are behind a proxy server. After reading FAR too many posts running around in circles, I found a simple solution at least to my flavor of this problem, which should also shed some light on root cause. Install the latest OpenSSl from this site: https://slproweb.com/products/Win32OpenSSL.html the current latest version is 1.1.1. Now I can install packages via pip and conda successfully. Not the answer you're looking for? Browse other questions tagged anaconda conda or ask your own question.